For many drivers, sharing roads and highways with commercial trucks such as 18-wheelers can be intimidating. With their massive size and enormous weight, passenger vehicles are at risk for catastrophic damage when colliding with a truck. Big rigs cause big injuries. Large commercial trucks can be up to seventy-five feet long and weigh anywhere from 10,000 to 80,000 pounds. When they smash into smaller vehicles, life-threatening injuries are often the result. Getting help from a Sandy truck accident lawyer from Craig Swapp & Associates is your best course of action after being hurt in a truck crash. We will fight for your rights and help you seek maximum compensation for your injuries and damages. According to the US Department of Transportation, there are approximately 440,000 crashes involving large trucks annually, injuring an estimated 111,000 people and killing almost 4,000. That means that roughly one out of every eight traffic fatalities involves a collision with a large truck, and an astonishing 98 percent of those killed are occupants of a passenger vehicle. After examining the details of your accident, a Sandy truck accident lawyer from our office will determine the cause of your crash. In turn, this will indicate all of the parties who were at fault, allowing you to name them in your personal injury lawsuit. Who Was at Fault for Your 18-Wheeler Crash? Utah truck accidents and the laws involved are detailed and complex, especially when there are many contributing factors and components. There are several parties that may be at least partially responsible for your crash. In addition to the truck driver or owner of the truck, anyone who contributed and is at fault for causing the accident can be held accountable. This could include the company who owns the cargo being hauled, a maintenance company, a parts manufacturer, or even a government entity if a dangerous road or questionable inspection were to blame. With help from a Sandy truck accident lawyer, you’ll be able to pursue compensation from everyone who contributed to your 18-wheeler wreck. It’s important to seek medical attention immediately following a Utah truck accident. Your injuries may be delayed and not be apparent until some time after the event, increasing the chances of additional complications or even death. 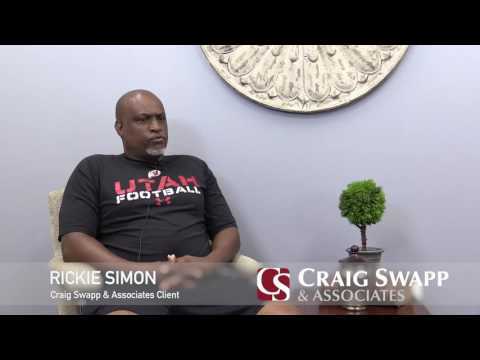 At Craig Swapp & Associates, we understand the impact your injuries can have on you and your family. The emotional and physical pain coupled with the financial stress is bound to be overwhelming. A Sandy truck accident lawyer from Craig Swapp & Associates will work tirelessly on your behalf. Call today at 1-800-404-9000 for a free consultation or reach us by submitting the form below.